Once you have a new home or office built, you might want to move right in. But wait! There may still be some dangerous post-construction materials lurking around. If you want to make sure your new construction is safe to live and work in, you might want to invest in a post-construction clean up. Construction sites involve a lot of dust, which can get into the air, nestle into carpets, and hide in the ductwork. This can range from just regular dirt to dust that's made out of dangerous particles. The only way to remove these particles from the air is a thorough cleaning. Whether you're an entirely new construction or a renovation, the construction company is going to do its best to clean up before you move in. But every company can miss a few things, especially when rushing to complete a project. Things like ducts and new air filters can simply go unnoticed. After construction, there are a lot of things that could impact your air quality. This isn't just dust, but also the emissions from paint and adhesives. Many paints today have VOCs, which are volatile chemicals that can be unsafe to breathe. Breathing these in could cause long-term damage, such as an increased risk of cancer, or simply an asthmatic attack. A post-construction clean up will make sure that there isn't any excess dust in the air and that all of the construction debris has been removed. This makes your home safer both because the air quality is better and also because your home or office will be less flammable; dust is one if the most flammable things that can exist within a home. Once your post-construction clean up is completed, it's time to call in the experts. Dust and clean up professionals can test the quality of your air and remove any excess dust from the air itself. 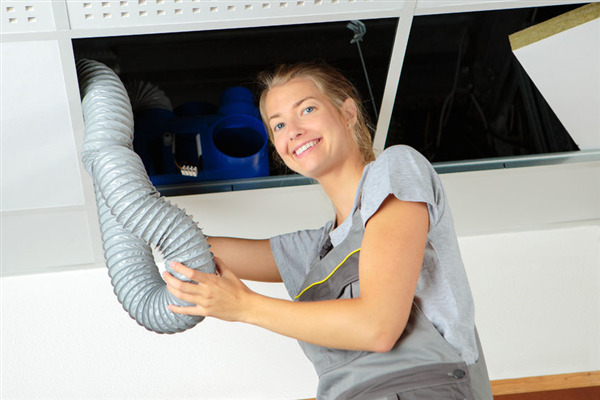 This includes cleaning ducts, vents, and other hard to reach places. You can't be sure you're safe until you've gotten an air quality test and an "all clear" from the professionals. If you have a new construction home or office, the best way to get started is to get an air quality test. Contact the Dust Doctors today, and they can advise you on the next steps. « What are VOCs (Volatile Organic Compounds)?